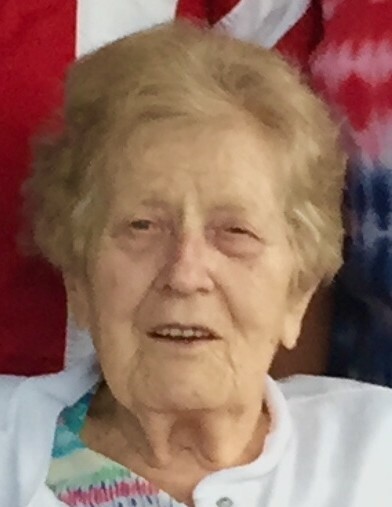 Wanda L. Walker, 94, of East Peoria passed away at 5:56p.m. Tuesday, November 20, 2018 at Apostolic Christian Restmor in Morton. She was born May 29, 1924, in Peoria, IL to Charles and Estelle Crackel Bennett. She married Lloyd E. Walker on January 23, 1943 in Palmyra, MO. He preceded her in death on June 15, 2016. She is survived by 2 children, Terry (Rebecca)Walker of Groveland, IL and Connie (Jim) Eaton of Dayton, OH; 4 grandchildren, Todd (Lori) Walker of Broomfield, CO, Brett (Lisa) Walker of Gig Harbor, WA, Shana (Mike Evett) Eaton of Arlington, VA, and Brad (Mollie) Eaton of Dayton, OH; and 9 great-grandchildren, Cole, Quinn and Kate Walker of Broomfield, CO, Hannah and Caleb Walker of Gig Harbor, WA, Alice and Will Evett of Arlington, VA, and Harper and Morgan Eaton of Dayton, OH. She was also preceded in death by her mother and step-father Estelle (Bill) Gess and her sister and brother-in-law Annetta (Tony) Jasper. As the child of a divorced single mother during the depression era, Wanda was raised for 5 years at the Children’s Home in Peoria and then lived with her maternal aunt and uncle on their farm in Missouri. She then returned to East Peoria to live with her mother and step-father and attended East Peoria Community High School. In 1975, Wanda and Lloyd bought their first of 2 motor homes in which they enjoyed 30 years traveling the United States and Canada with their friends in the Good Sams, Holiday Rambler and Carriage RV travel clubs. They frequently provided their personal services and the use of their motor home in support of the Law Enforcement Torch Run for the Special Olympics. Wanda loved traveling, RV “camping”, cooking, crafts, sewing and playing cards, especially Pinochle with her neighborhood friends and Skip Bo with her grandchildren. She was especially fond of ice cream and popcorn – a passion she passed on to her grandchildren who she lovingly and caringly enjoyed while taking them camping, playing all games with them and babysitting them as needed. Due to family circumstances Wanda did not graduate high school but she worked diligently to make sure that her children obtained their college degrees. She was especially proud of the fact that all her grandchildren have obtained post-graduate college degrees. In lieu of flowers, memorials may be made to the Children's Home of Peoria. The family wishes to thank the staff and nurses at Bickford House and Apostolic Christian Restmor and her doctors for skillfully and compassionately making Wanda’s final years as enjoyable as possible. Her funeral service will be at 1p.m. Saturday, December 1, 2018 at Deiters Funeral Home and Crematory in Washington with the Rev. Bill Cordes officiating. Visitation will be one hour prior to services at the funeral home on Saturday. Burial will be at Swan Lake Memory Gardens in Peoria.